Wine labels can sometimes be deceiving, regardless of the type of wine it is, but Port wine labels tend to be the most misunderstood: what you see is not necessarily what you get. Blending various vintages is a process applied to many varieties of Port wine, including standard Rubies, Reserves, Tawny and Crusted Ports. 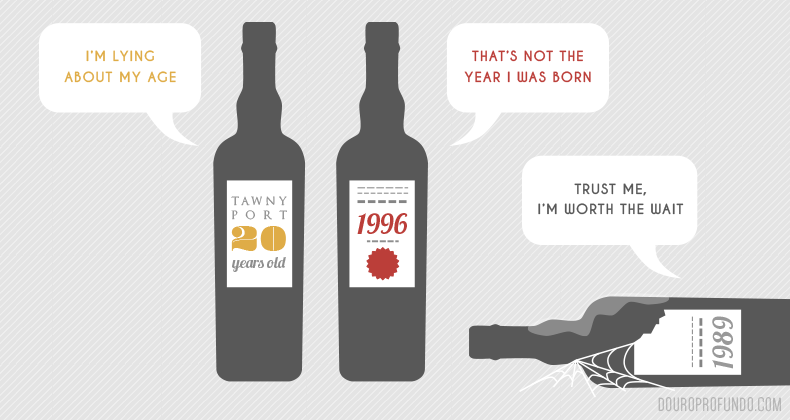 Tawny is the best example, especially because Tawny Ports with age indication (10, 20, 40 years old…) are the most common variety. You’d think it would be fairly straight forward: it says it’s 20 years old on the label, the grapes that made the wine must be 20 years old, right? It’s not that simple, but the explanation isn’t complicated, and the reasoning behind the concept is a good one. Tawny: has been produced since the 17th century, and Tawny Ports with an age indication have remained one of the most popular Port varieties, especially with the international market. While certain years are reserved to create special editions (a single harvest Tawny called “Colheita” for example), all other vintages will eventually be blended together to create a wide range of aged Tawny Ports. A Tawny labeled “Fine Tawny” without any indication of age has been aged at least 3 years, while Tawny Ports with an age indication on the label, whether it’s 10 or 40 years, are a complex blend of a range of vintages. Within a bottle of Tawny labeled “20 years old” for example, there can be grapes from harvests that could be between 9 years to 36 years old, as depicted. On average, however, Tawny must be aged at least 3 years before it is bottled or blended, while there is no maximum age that can be used in a blend. The age on the label is determined by the average year of all the grapes in the bottle. A common misconception is that the age indication is referring to the maximum age, which is not true because there can be many vintages that exceed 20 years, in a bottle labeled “20 years old”. The blend in each bottle has been expertly combined in an effort to create time-tested consistent flavor. Producers hope to achieve a similar flavor every year a Tawny is bottled, so that a Tawny that was bottled in 1976 would taste the same as one bottled today. This means that, unlike other wines that can vary in flavor each year its produced, the flavor of blended Port wines can be reliable decade after decade. 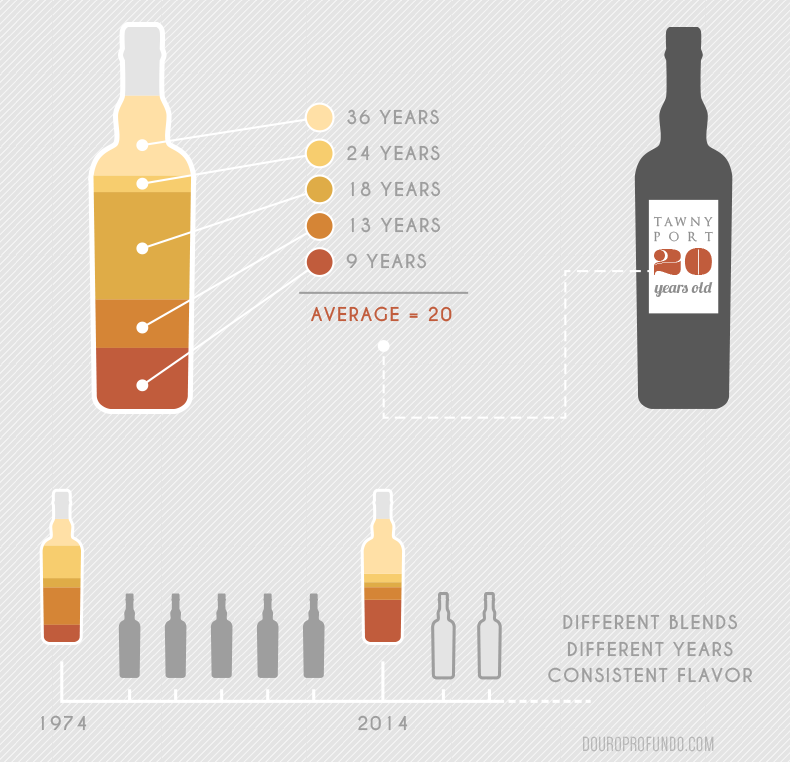 So if you love the flavor profile of a 20 year old Tawny, you can buy a bottle at any time, and expect the same flavor regardless of the year it was bottled. Hand picking the best characteristics from each year, combining them all together to find the ideal average age is a pretty sweet system… if only we could all use the same method when declaring our age. 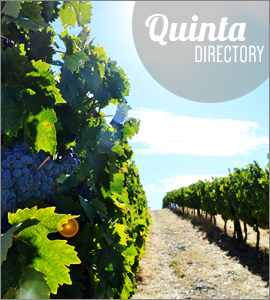 For every Quinta, some years may produce a mediocre harvest, while others may be exceptional but still not officially dubbed a “Vintage” year, or worthy of a single harvest “Colheita”. To find a balance, the full range of harvests are blended, which gives the producer the chance to highlight the great years, while compensating for the less-than-stellar ones. Many brands have absorbed several vineyards under one estate, which is another way to ensure the wines that are produced have the best odds of consistent quality. If one of their vineyards has an excellent year, they might also produce a single vineyard wine, which is uncommon but very special, and a clear indication of pride in the quality. Crusted: In the case of Crusted Port, you won’t find an age indication on the label, but instead a year, which is not necessarily the vintage. Most Crusted Port has been blended, in which case the label refers to the year it was bottled. Although rare, there have been some single harvest Crusted Ports produced, but the label will still indicate the year it was bottled. The year on the label is important because this is one of the few Port wines that will age in the bottle, improving with each year. As with Tawny, the purpose of blending various vintages gives the producer the opportunity to combine the characteristics from multiple vintages. However, while Tawny producers are bound to the concept of matching a consistent flavor, Crusted production is geared toward creating the best possible flavor profile. Crusted is considered an affordable alternative to Vintage Port, and is ideal for the impatient wine drinker. Although it is bottled with aging potential, it has been blended with the intentions of being opened fairly soon after bottling. All Crusted Port has been aged in the bottle for 3 years before being sold, but many producers age them much longer, which means most are ready to drink when you buy them. For this reason, it appeals to many for having the characteristics of a Vintage, without having to store it for years waiting for it to peak. The name “Crusted” actually refers to the sediment that accumulates in the bottle with time, due to the fact that it is unfiltered. Ruby: You may see standard Ruby port labeled “Ruby”, “Fine Ruby” or even simply “Port”, in all cases the wine would be classified as a standard Ruby. Standard Ruby Port is often a blend of several vintages, so the label will refer to the year it was bottled. Standard Rubies are often aged in stainless steel vats for as little as 2 or 3 years before it is bottled. Reserve: The “Reserve” variety of Port wine is also one that has been blended, with the label reflecting the bottle date, not the vintage. A Port wine labeled “Reserve” must be aged for a minimum of 3 years. Unlike many wines that include “Reserve” on the label, Portugal has strict guidelines for wines who want to market themselves with this term. Because of this, you can expect the term to reflect quality, where “Reserve” in other countries is a term that can be used freely, and might not be referring to any special process. Vintage, Late Bottled Vintage & Colheita: As for the Port wine varieties that are not blended, the label will denote the Vintage. Whether it is from a single vineyard, or a combination of all the vineyards from one brand, the year on the bottle will be the year the grapes were harvested. Filtered or Unfiltered: When it comes to bottled wines that have aging potential, the label will tell you what you need to know. Only wines that are bottled unfiltered will age in the bottle, and get better with time, which includes: Vintage, Late Bottled Vintage and Crusted Ports. These wines also require decanting before drinking, due to the sediment left in the bottle, which also gives it the ability to age. It’s important to note that Late Bottled Vintage Ports come in both filtered and unfiltered varieties, which is why it is important to check the label before storing a wine with the intention of letting it age. Each of these Ports will reach their peaks at different times, some are ready to drink fairly young, while others can age for 40 years + before being ready. Antes de mais parabéns pelos conteúdos modernos e bem apresentados. 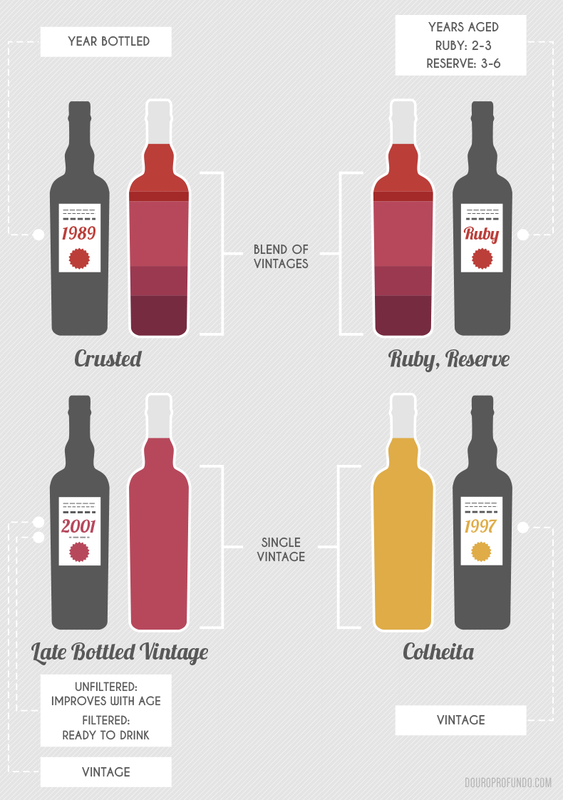 Apenas fica uma sugestão, ao mencionar “Ruby.. is often a combination of several vintages…” leva a crer que os blends são feitos com vinhos de anos vintage. Haverá uma terminologia mais clara que possa ser empregue? Talvez harvest em vez de vintage?